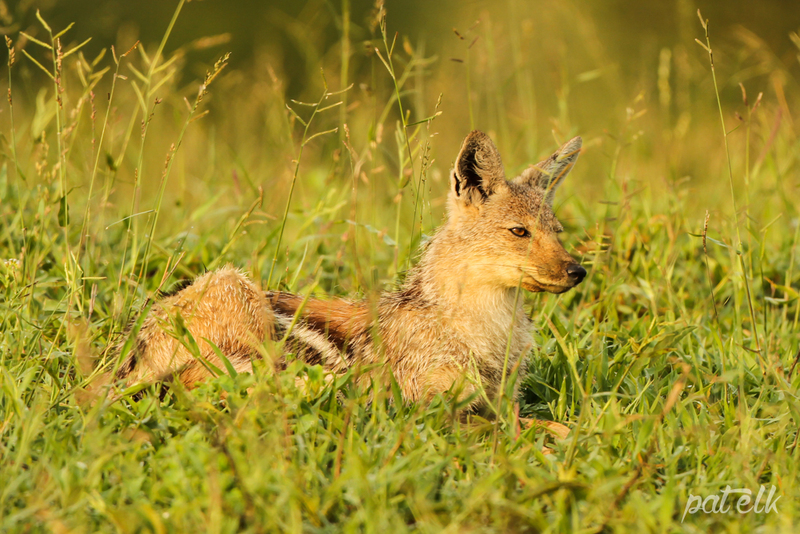 The Side-stiped Jackal (Afrikaans name Witkwasjakkals) Is a shy, more nocturnal animal a bit bigger than the Black-backed Jackal. It is an omnivore taking a wide range of food items from small mammals to birds, reptiles, carrion and wild fruit and berries. We saw this one waiting on the side of a buffalo kill by a pride of Lions, in Mala Mala in the Kruger National Park.